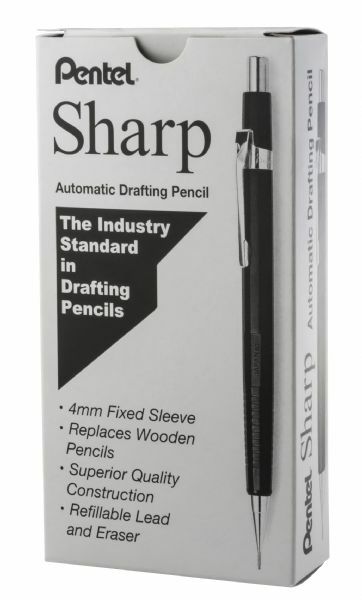 Slim lightweight mechanical pencil with ridged finger grips for extended comfort and control. * Features an adjustable metal pocket clip. * 0.5mm lead produces crisp fine lines of consistent density. * Pentel Super Hi-Polymer HB lead is equivalent to a #2 pencil guaranteed to scan on tests resists breaking and never needs sharpening. * Refillable with Pentel Super Hi-Polymer® Lead and Z2-1 refill eraser. 5.51" x 0.35" x 0.35"